Utilizing the treasure trove of our intellectual and spiritual heritage, namely the Qur’an & Sunnah, the Al-Mizan Winter Youth Retreat introduces students to our specially designed “Seeing with Both Eyes: The Holy Text and Tradition in Present Conditions” curriculum. Al-Mizan is a Quranic word indicating the scale or balance. Using the exemplary life of the Prophet Muhammad, may Allah’s peace and blessings be upon him, Al-Mizan will teach students how they too can strike a balanced course with regards to their education, family, community, civic responsibility, environment, and within themselves. 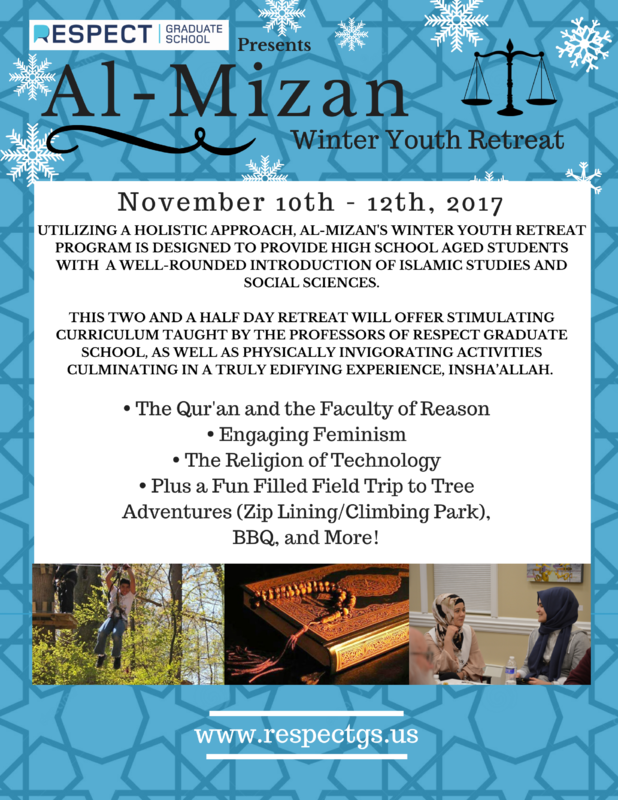 The Al-Mizan Winter Youth Retreat is designed to provide high school aged students with a well-rounded introduction to Islamic Studies and Social Sciences taught by a host of great speakers. This two and a half day retreat will offer students a variety of mentally stimulating lectures such as “The Qur’an and the Faculty of Reason,” “Engaging Feminism,” and “The Religion of Technology”, as well as physically invigorating activities that will transform any student’s winter vacation into a truly edifying experience, Insha’Allah. All high school-aged students (13-18) are invited. The Program will begin with a welcome dinner for students and their families on Friday, November 10th at 7:30 pm. On Sunday, November 12th, the program will conclude with a field trip to “Tree Adventures,” an outdoor zip-line & climbing park and a BBQ. The cost for the entire program is $200. This retreat includes an overnight stay for Friday and Saturday nights. 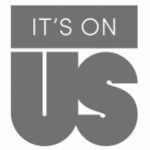 Accommodations for sisters and brothers will be separate as well as accompanied by adult mentor supervision. Proper decorum (adab) is required. Students are required to supply their own sleeping bag and pillow. For registration, please complete the form below. SPACE LIMIT HAS BEEN MET FOR THIS EVENT!